In the late 50s up until about the end of the 60s a group of rebels and artists known as the Lettrist/Situationist International (LI/SI) made a desperate attempt to re-imagine the city so that its inhabitants could break free from the bleak urban routine of work and consumption. During this period numerous strategies were developed under the name of "Unitary Urbanism." 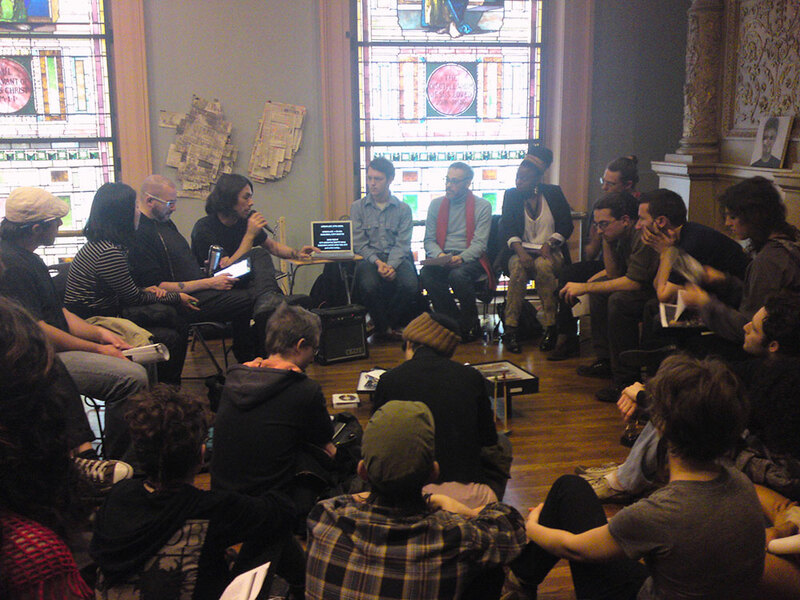 This panel reflects on the historical importance of these strategies in order to critically examine how they relate to their own work, and the possible uses and subversive potential of these practices today. Panelist include Ethan Spigland, Adeola Enigbokan, Dillon de Give, Blake Morris, The Walk Study Group, Wilfried Hou Je Bek. 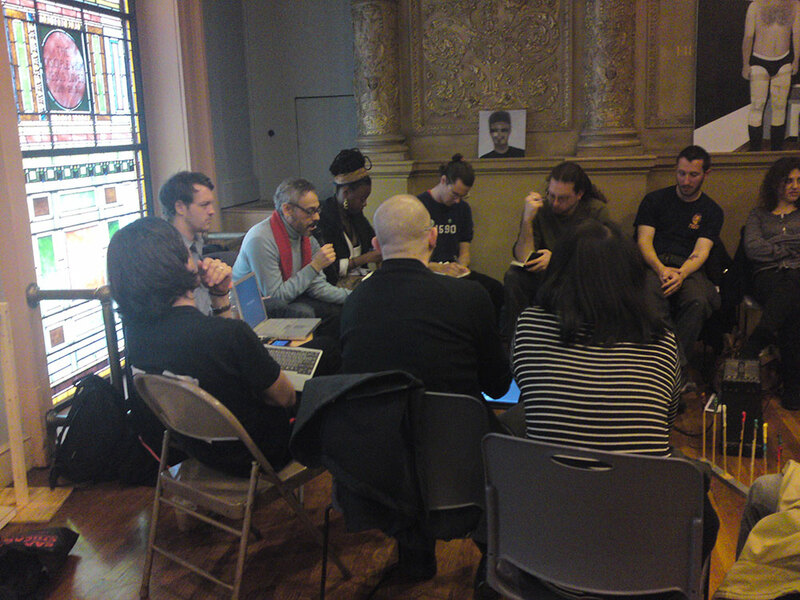 Organized and moderated by Antonio Serna via Vizkult. 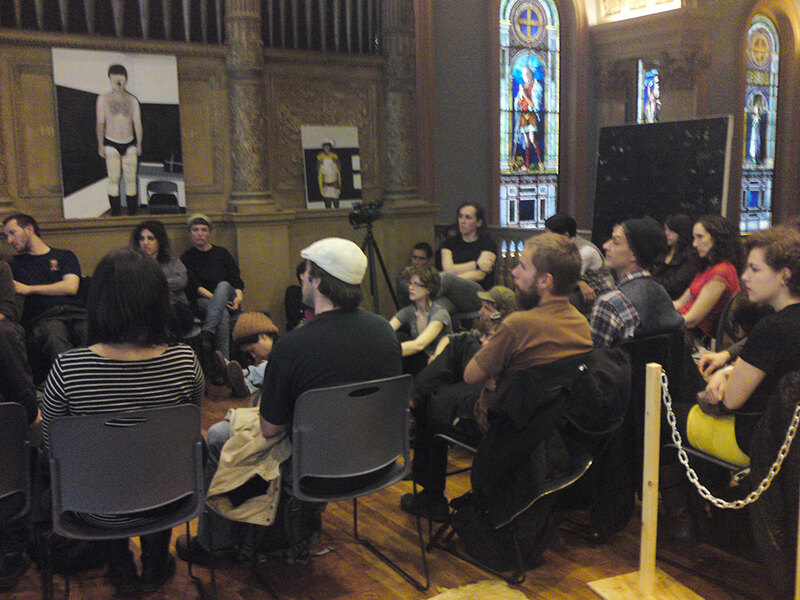 Event was held on April 9, 2011 at Judson Memorial Church in conjuction with The 5th Annual NYC Anarchist Book Fair and The 3rd Annual Anarchist Art Festival.